THIS! This shyt right here! I was so not ready for this today! My normal routine is to check Twitter and fb in the morning and oftentimes this happens during my morning drive. Well true to form, I’m leaving my neighborhood and I’m skimming and I see a friend from ATL and her Tweet is something to the affect of I bet no one else will run up on Nique! Then Frank Ski is Tweeting Rashan is on the phone now. I’m thinking Rashan Ali, didn’t she just leave the station last week? Then I continue on my drive and say I will tune in to V-103 once I make it into the office and sign into Twitter online and maybe go back a few tweets to see what’s up. Well, you know we all have good intentions of doing that, but the man does require his work to be done, so yeah, it didn’t happen. In between checking all of my work – I have a presentation in the afternoon, then I get an e-mail, the VP is in town and wants to meet, I just put all that checking up on pause! 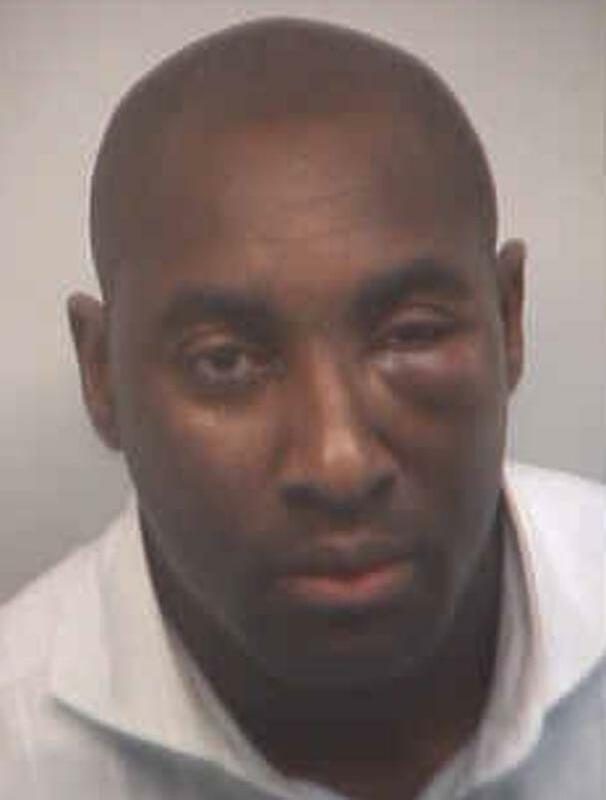 Only to my surprise, my girlfriend in ATL sends me a text saying Rashaun’s (sp) mug shot on news for assaulting Dominique Wilkins @ last night’s Hawk’s game – again, my dumb azz, Rashan Ali lol. I explain to her non-twitter/fb self I saw something on my fav social network, but hadn’t checked yet. She texts again – Suit wearing Rashan! (correct spelling) I text back, Rashan (pronounced Rayshun)from Fairfield, (suburb of B’ham), DING DING DING we have a winner!! I realize who the person is that is getting their azz to’e up on all the Social Networks! I really shouldn’t thrive on this drama, but THIS, I had to do some investigating myself. This kneegrow is the ninja of all ninjas! True, we’re both from the B’ham area, we have mutual friends, a couple of times we both lived in ATL, so we are cordial when we see each other and in my single days I would let him buy my drinks in the club, that’s the type of guy he is, he likes to high cap, ballin or attempting. I know he’s a Kappa from Talladega, he pledged with one of my good friends, but he is an all around arrogant, loud, wanna be fly, bad temper azz mofo! And unfortunately this type of behavior does not surprise me at all. I read Frank Ski and one of those Stew brother’s tweets and they both said how they knew both Dominique and Rashan and they’re both good guys, and I guess to people in ATL Rashan is, but to people in B’ham, he’s loco! My bff even said Rickey Smiley talked about it this morning and he shares the same sentiments of me and my friends, Ray Ray as we affectionately call him, is crazy and Rickey has almost come to blows with him. Now Rickey is someone I have known since forever, he doesn’t normally start shyt with people, he’s an easy going guy most of the time, unless provoked! Well, this diatribe has gone on long enough. Ray Ray got knocked the fug out! According to the article here, he didn’t even land a punch and you can tell from his mug shot! There is also a video on TMZ and the other gossip blogs are talking about it too. Tomorrow, I might post some of the comments from my fb, because yes, my messy azz posted the shyt early in the AM! This entry was posted in Infamous Rashan, Local Celebrity. Bookmark the permalink.